Modern chic pendant layered in solid colour creates a striking look. Acrylic light diffuser on bottom allows light to pass through without excessive brightness. Pendant attaches to 5 inch diameter swivel ceiling plate and can be hung from vaulted or slanted ceilings. Extra rods included for height adjustments. Hang semi flushmount or longer to fit. Layered 18 inch Drop Pendant In Gold Modern chic pendant layered in solid colour creates a striking look. Acrylic light diffuser on bottom allows light to pass through without excessive brightness. 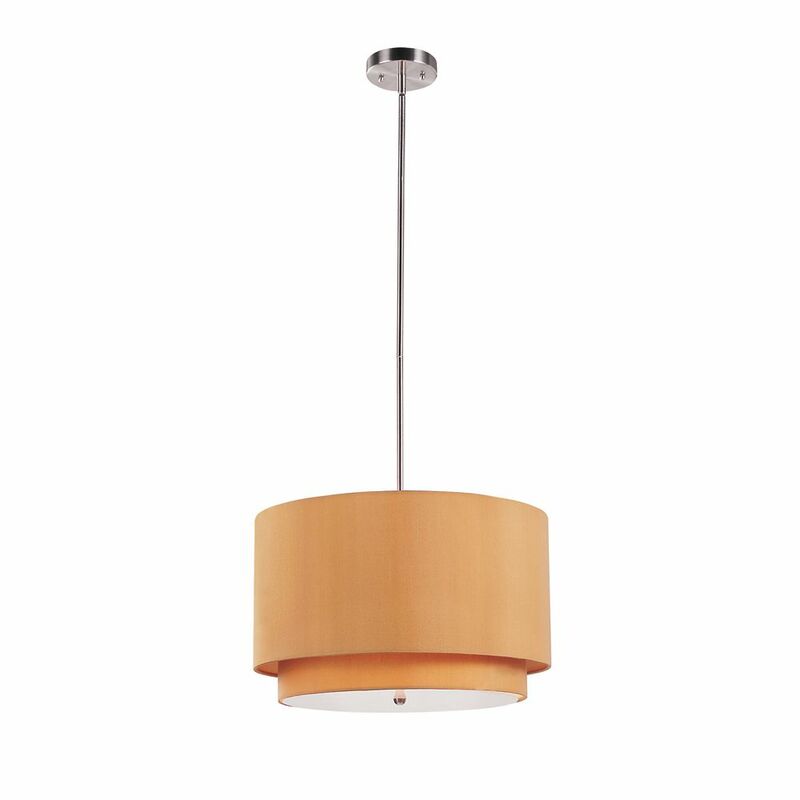 Pendant attaches to 5 inch diameter swivel ceiling plate and can be hung from vaulted or slanted ceilings. Extra rods included for height adjustments. Hang semi flushmount or longer to fit.